Yahoo, sell Flickr to a company with a vision! Flickr could do it all, but it is limping forward without any clear vision or goals. 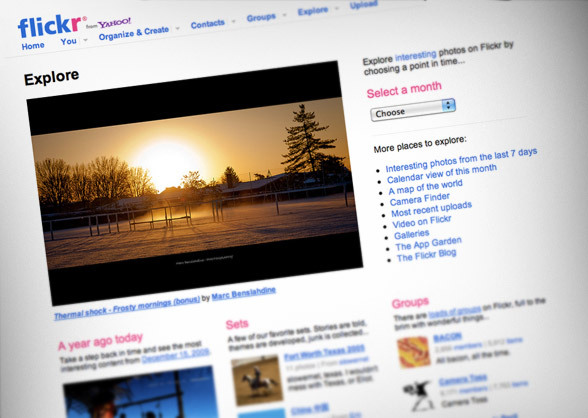 Flickr is turning into MySpace, a big site that doesn't make a difference. Flickr failed to be a part of the social world. While the site contains many social features, the concept isn't. You upload pictures, for other people to see and comment on. That's is not social, that's just the old web. If Flickr wants to be a social site, it has to change the focus to be a platform where people can communicate and tell stories via photos and videos. Photos are one of the most important elements on Facebook, and is continually a primary focus for the site. Flickr used to be much better than Facebook, but they failed to engage. They failed to make it really useful to follow other people. They still call people "contacts," and treating social interaction as some kind of address book. Flickr could have been the Facebook of pictures. Most posts on Tumblr are a picture followed by a short description or story. Flickr has the same features, but it is not formatted as a stream of stories. It is formatted as a gallery. 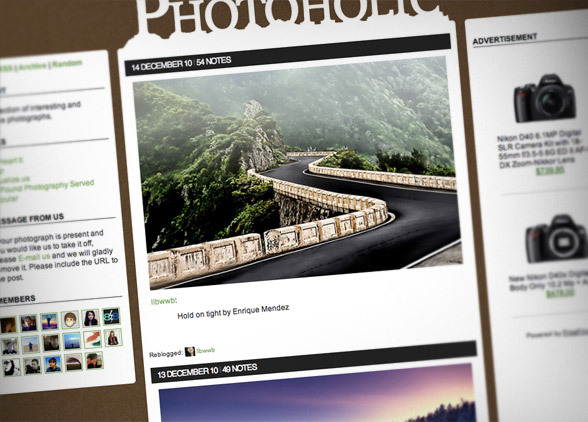 Flickr could have been Tumblr with just a simple redesign. On Twitter, the dominant way people share pictures are via Twitpic or yFrog. Flickr got the same functionality, but a cumbersome sign-up process and API integration make it impossible to use. I never signed up for Twitpic; I just started using it. It automatically linked my data to my twitter ID - no sign-up required. No fuss, just publish. Flickr could have been Twitpic. New sites like Instagram is "a fast, beautiful, and fun way to share your life with friends through a series of pictures" on your iPhone. It is really simple and fun to use. Flickr can do all the same things, but they have completely failed to make it real. They could have been Instagram. YouTube is and Vimeo is currently the number one site for user-generated video, but both fail at delivering video as a social story. Flickr could do that, but they are not. Earlier today, Yahoo Video announced that it no longer accepts user generated video - moving Yahoo even further away from the social world. Yahoo wants to be a broadcast media company. As such Flickr is forced into this empty void where they cannot embrace the social world, nor reach its full potential. I know that several Flickr employees wants to change the site; they have all the good ideas. They just can't make them real. This was why MySpace failed. Social channels don't belong in broadcast focused media companies. Flickr is a social channel, it is not "media". Yahoo needs to sell Flickr, or set it free. Flickr could still be great, but their window of opportunity is quickly disappearing. Don't let it wither away. It is much too valuable for that.